The Leigh Gallery offers a diverse and innovative selection of artwork from over 80 well-established artists. 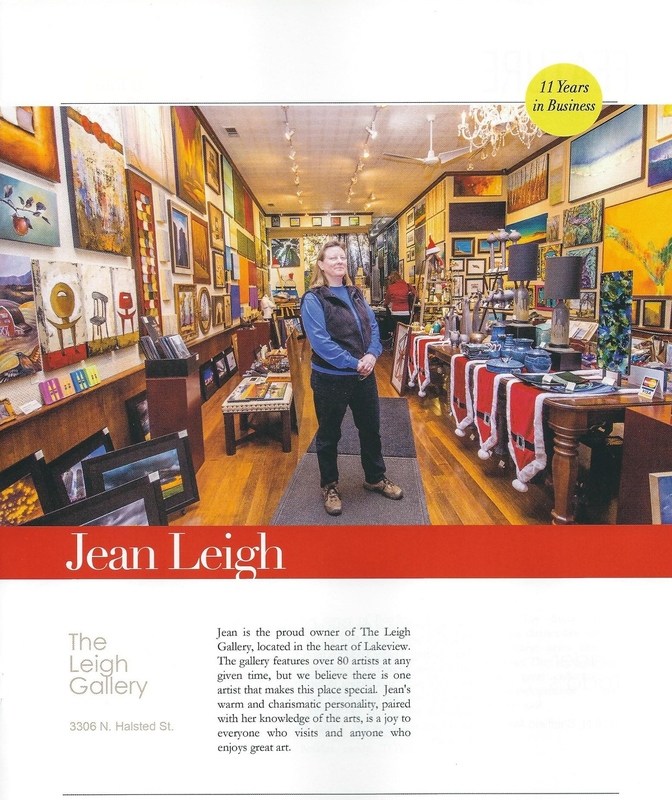 Set in the heart of Lakeview on Chicago's Northside, The Leigh Gallery offers a comfortable and inviting setting with Art for all tastes. From modern to old-school classics, this gallery has something for everyone. There are local artists from right around the corner to as far away as San Francisco and Colorado. Come in, browse, relax, and enjoy an eclectic mix of original art in a friendly atmosphere. Shipping to your home is easy—we use UPS for ease and convenience! We package the artwork in-house to keep costs down and ensure they arrive safely to you home. Please note, 'item sizes' in the online galleries may already include mats and frames, even though they are not pictured. Feel free to email us with any questions or further details. If you would like to be notified of upcoming Solo and Specialty Exhibits via email, please email theleighgallery@comcast.net with the words "Add Me To Email" in the subject of your email.